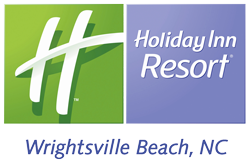 Visit us in Wrightsville Beach for a 1-mile walking tour of our stormwater reduction projects and check out the ways we help to keep your local waterways clean. 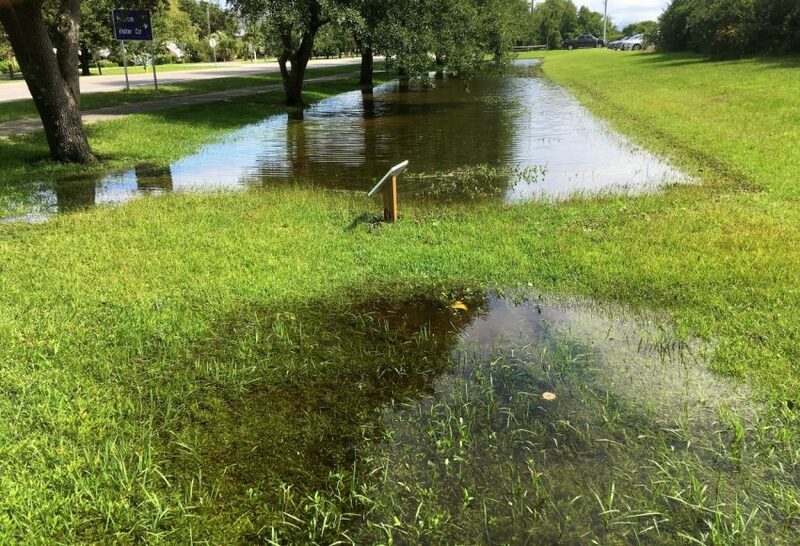 How does stormwater affect our community? 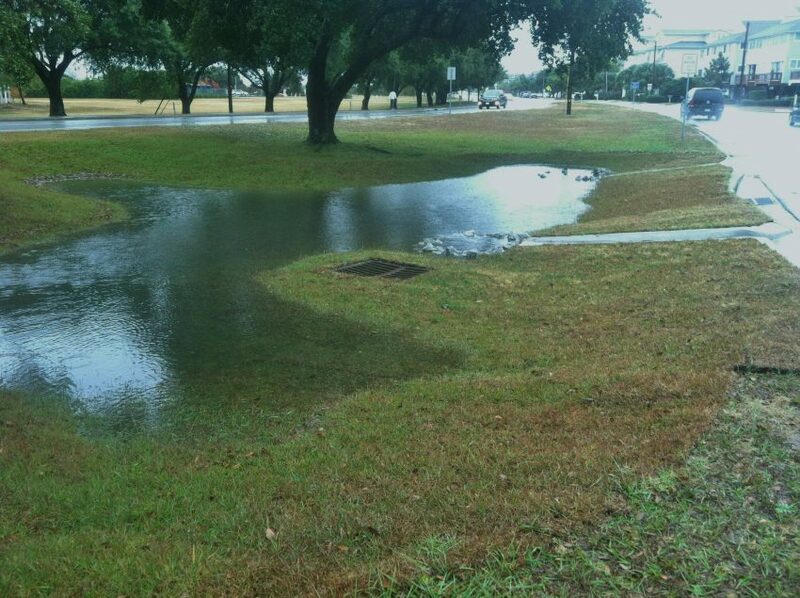 Stormwater runoff is the No. 1 polluter of our coastal creeks and sounds. 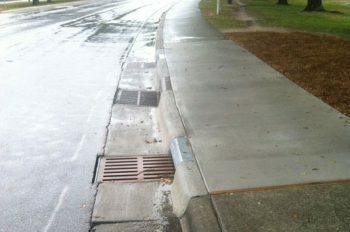 Rainwater flows over hard surfaces picking up bacteria and pollutants along the way. 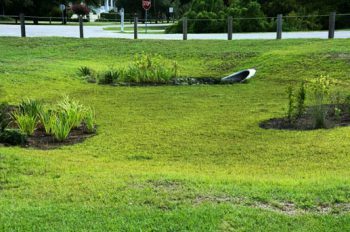 The North Carolina Coastal Federation teamed up with the Town of Wrightsville Beach and other partners to build a number of projects around the John Nesbitt Loop that can reduce the amount of polluted stormwater runoff that reaches nearby creeks and sounds. Join the Walk the Loop for Clean Water trail, and you will see and learn about these techniques, many of which can be installed in your yard or place of business! For more information about the basics of stormwater runoff, check out this video and these frequently asked questions about stormwater. 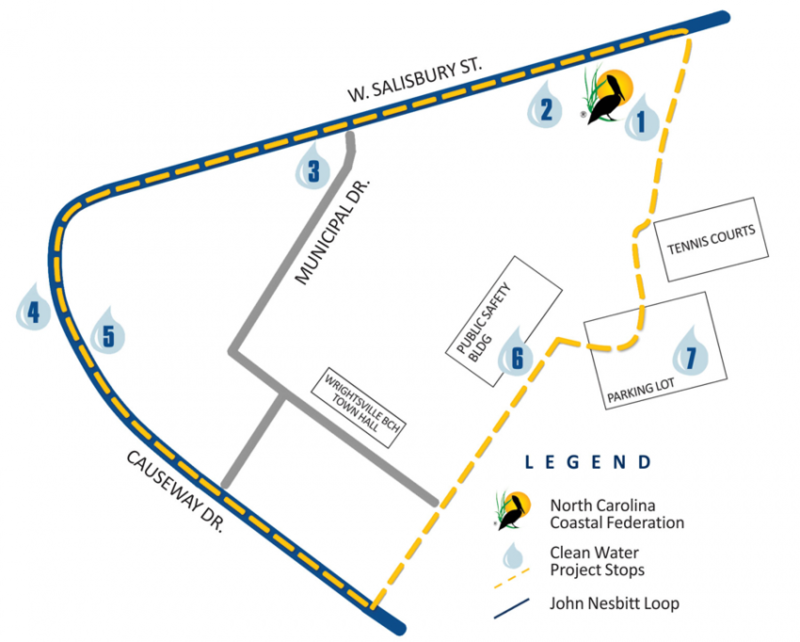 Follow the seven Walk the Loop for Clean Water stations by clicking on the numbers below, or pick up a printed brochure from the kiosk at the entrance to the federation’s Fred and Alice Stanback Coastal Education Center. #1 | The walking tour begins at the North Carolina Coastal Federation Fred and Alice Stanback Coastal Education Center. A rain garden with native plants that capture stormwater so it soaks into the ground. Permeable pavement for parking areas and walkways that let the rain soak in instead of running off. Cisterns and rain barrels that collect rain as a free source of water for later use. #2 | As you walk the loop along W. Salisbury Street between the Education Center and Municipal Lane, look to your left. Notice the street-side swales and small earthen dams. A swale is a water storing ditch built into the landscape. The swales and dams slow down polluted stormwater so it can soak into the ground and not reach nearby swimming and fishing waters of Lee’s Cut. #3 | As you walk past the intersection of Municipal Lane and W. Salisbury Street, look to your left. This rain garden collects and absorbs stormwater that previously flowed into street drains and straight through pipes and into the adjacent estuary. This area is planted with native plants and turf that soak up rainwater and prevent polluted runoff. Did you know? You could take seven showers a day for a year using the amount of water that this rain garden keeps out of the storm drains each year. #4 | As the Loop turns east and intersects with the outbound lane of Causeway Drive, look across the street to the grassy swale between the inbound and outbound lanes of Causeway Drive. 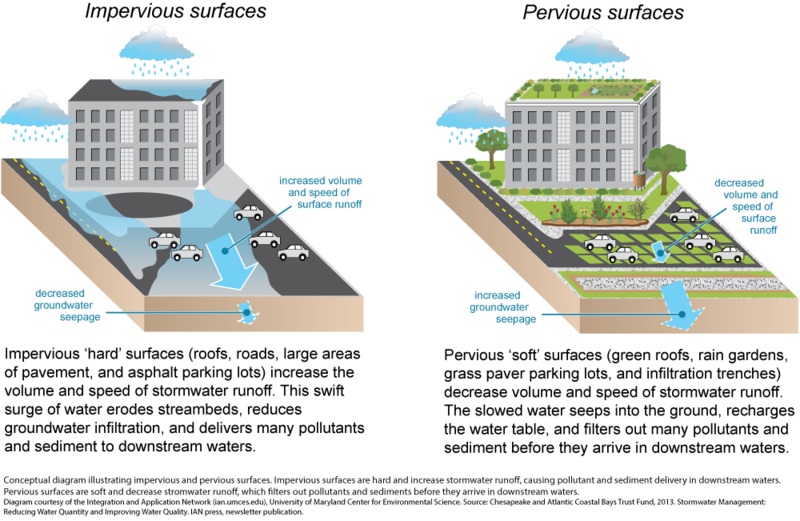 With a slight change to the landscaping and the addition of two curb cuts and a raised drain, runoff is directed from Causeway Drive into the grassy median where it soaks slowly into the ground and pollutants are filtered out by soil bacteria. 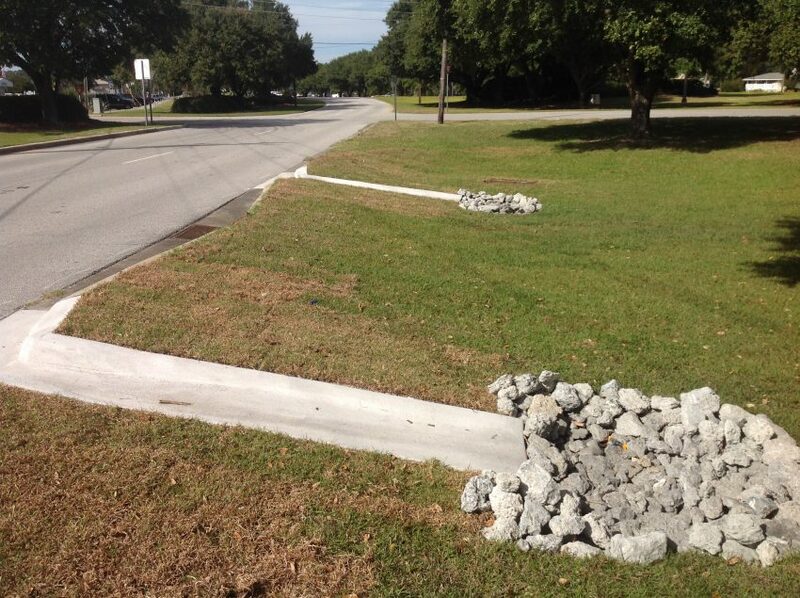 This prevents polluted road runoff from reaching the storm drains and the nearby waters of Motts Channel. #5 | In just a few steps, look along the outbound lane of Causeway Drive and notice the three drains along the road/sidewalk. These are reversed stormwater inlets that divert polluted roadway runoff to soak into the grassed area between Causeway Drive and the Arboretum instead of flowing through pipes into Motts Channel. #6 | Turn on Bob Sawyer Drive to reach the Wrightsville Beach Public Safety Building (on your left). 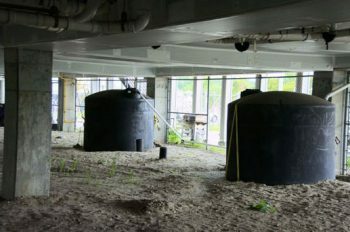 Under this building, five 3,000-gallon cisterns capture and reuse stormwater from the roof. 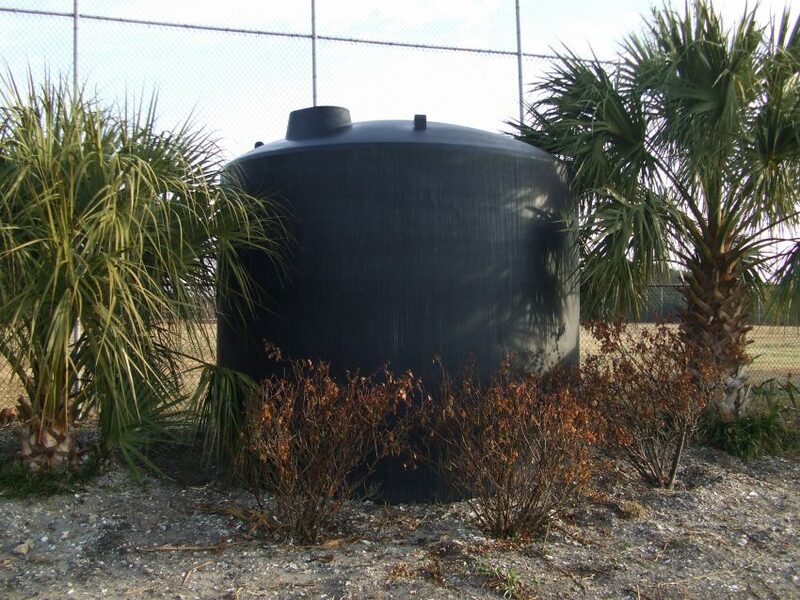 Additionally, the overflow from these cisterns fills a 10,000-gallon cistern located across the street near the baseball fields. Together, this water is reused to water landscaping and public ballfields and wash fire and police department vehicles and equipment. #7 | Keep walking on Bob Sawyer Drive, which ends at the Wrightsville Beach Recreation Area parking lot. Walk to one of the two parking lot drains. 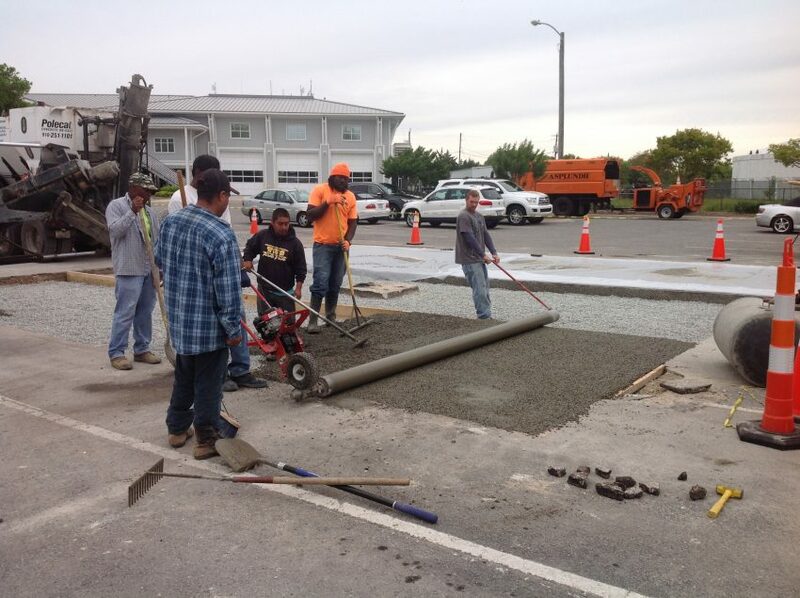 This station features the removal of two 40′ x 40′ asphalt areas around each parking lot drain, which were replaced with sections of pervious pavement. 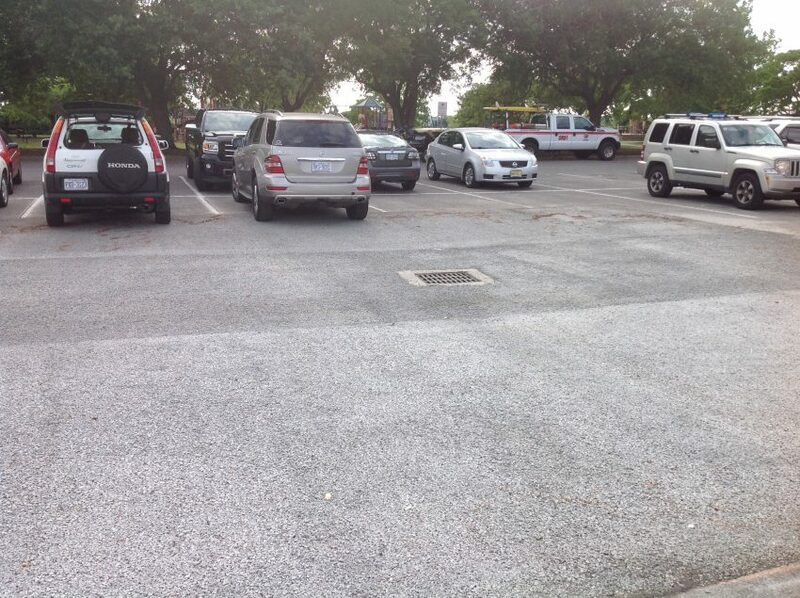 These small areas can now absorb nearly all of the polluted runoff from the parking lot during an average rain event. This approach protects the nearby creeks and streams from this pollution, and costs much less than repaving the entire parking lot. Congratulations! You have completed the Walk the Loop for Clean Water Tour. From this station, it is a short walk on the path next to the tennis courts back to the North Carolina Coastal Federation’s education center. 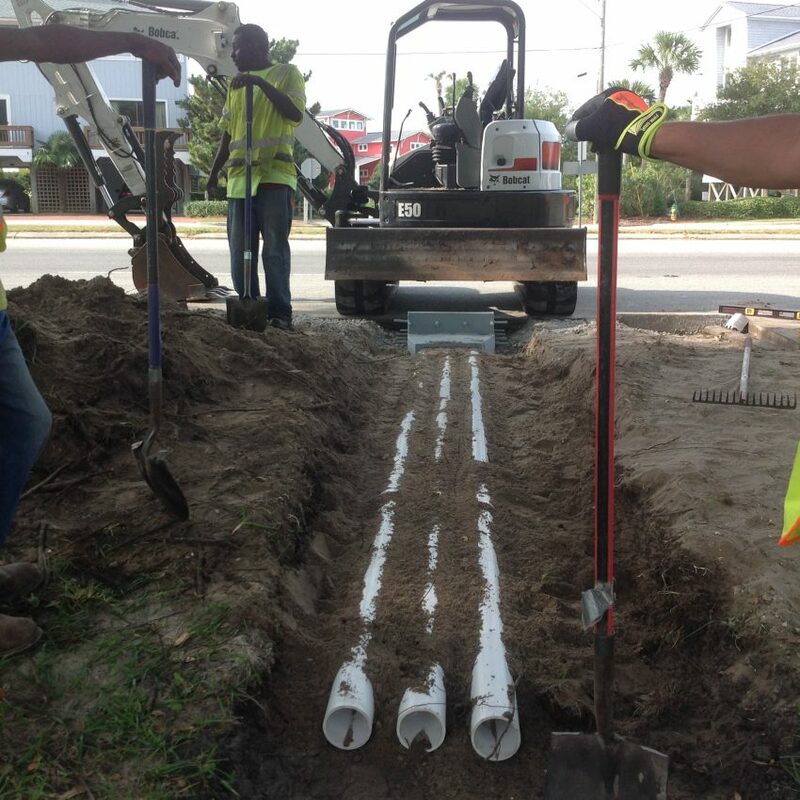 Is your business stormwater friendly?